← Are Ya Doing Your Life’s Homework Assignments? 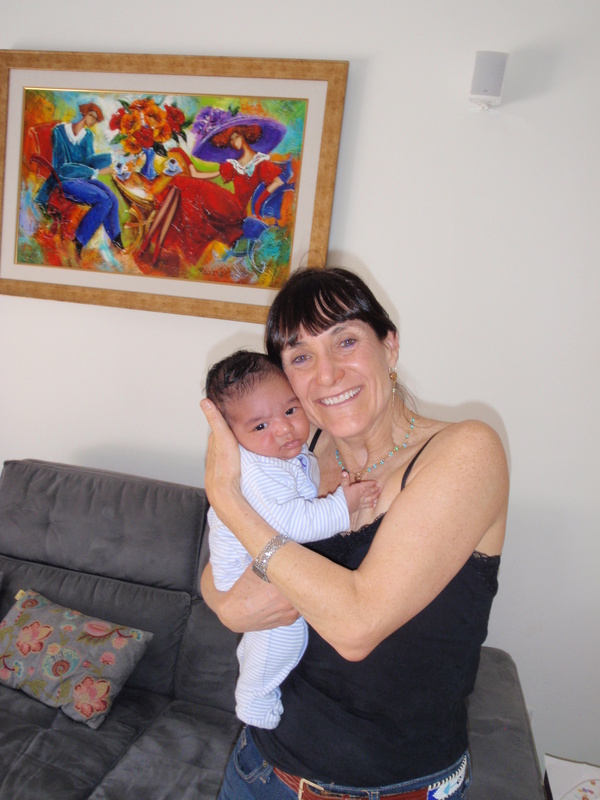 My unofficially adopted daughter Degetu’s new baby boy, Omer. My word for 2014 (drum roll, please) is DIRECTION. Taking direction, not giving direction to anyone but myself. Knowing my direction and taking the steps necessary to reach my destination. It’s important to have direction. To know where we’re going. Hey, you know why Moses led the Jews wandering around the desert for 40 years? Because he didn’t want to ask for directions. But I’ve learned I can ask for help and directions. I can admit I don’t know what I’m doing. I don’t have to isolate out of shame. I can welcome myself to the human race. I can have what is called Good Orderly Direction (doesn’t take much to guess what the acronym spells). If you are faced with a troubling crisis, health issue, critical life changes…if you’re unsure and frightened, then pick a word to anchor you. Something to focus on when you’re jittery and frazzled inside. My friend, Melody: KINDNESS. “Kindness to others, and to myself. Kindness as my religion, as the Dalai Lamai says. Kindness as a gateway to humility (“better to be kind than right” is a saying I don’t always remember but want to). Kindness as one of the acid tests before speaking: Is it true? Kind? Necessary? Kindness to remember that everyone is struggling, and also that everyone carries a spark of the divine. If you look into their eyes, you’ll see it. Other friends have chosen: POWERFUL, JOY and ACCEPTANCE. My word for 2013 was PRESENCE. Being aware of presence of mind, the presents in our presence. There were times when I was with people and found myself wandering and that was when I reminded myself to stay present. To be here now. Send in your words and your reasons and I’ll print them. Learning how to make this our best chapter means finding that one word to keep us centered when we go off-direction. Tool For Tuesday: Pick your word, something to focus on when you’re lost in the storm. This entry was posted in Acceptance, Being a Hero In Your Life, Self-Talk, Tool For Tuesday and tagged 2014, self-care, Self-help, Word. Bookmark the permalink. What a precious picture! He’s so beautiful! Of course Moses led us through the desert for 40 years. Obviously related to my husband. Terrible sense of direction and stubborn as hell. My word may be a two-parter – Best Practices. Just because I like the concept and the phrase makes me smile. Oh I like that – best practices! Do you play a musical instrument? Or were in dance? I was in dance. Did play the flute. Funny. I guess I mean when it comes to writing. That is funny about throughs versus throws. I got it. Yes, the Israelites wanted to go back to slavery because it was familiar to them. Sometimes we choose misery for the same reason – it’s comforting and a habit. I like your word, joyful! Beautiful picture of you with Omer. Babies give us a new sense of direction, though sometimes it’s in circles. I have been trying to choose my word. I know its a few weeks late but i have decided on -OPEN. In 2014 I want to remind myself to be OPEN to: new experiences, new people, new challenges and new ways of viewing things that happen in life. Sharon, OPEN is a fabulous word. I love that! It also helps to remind me when not to open my mouth!